Detoxification is an essential cellular function. When the body detoxifies, it packages debris in the form of foods and toxins so that it can be easily excreted from the body. We eliminate this debris through various mechanisms such as our gastrointestinal tract, genitourinary tract, respiratory tract, and our sweat glands, and it requires the function of multiple organs such as the liver, lungs, gallbladder, skin, kidneys, and yes, the brain! Why organs like your brain suffer most from toxins. Our body’s detox pathways also require a variety of nutrients that act as cofactors for the enzymes involved in this multi step process. These include activation, oxidation, reduction, hydrolysis, conjugation, methylation, and recirculation. Because it’s so complex, detox requires significant amounts of the body’s energy supply. When our body is assaulted by the exposure to pro-inflammatory foods, alcohol, tobacco, medications, and foreign substances such as drugs, heavy metals, chemicals, persistent pollutants, and microorganisms, our natural detoxification systems can be overwhelmed and unhealthy metabolites can accumulate and ultimately trigger mitochondrial dysfunction, metabolic deficiencies, immunotoxicity, and resultant neuroinflammation (also known as inflammation in the brain). As a result, the body’s energy is diverted and metabolically active organs such as the brain, the heart, and the muscles start to suffer. It is then we start to feel unwell and experience not only chronic fatigue and weakness but slow processing and cognitive difficulties. How to detox for better brain health. So what can you do to start detoxing your brain from the effects of contaminants, toxins, and inflammation? 1. Eat a diverse variety of fruits and vegetables. 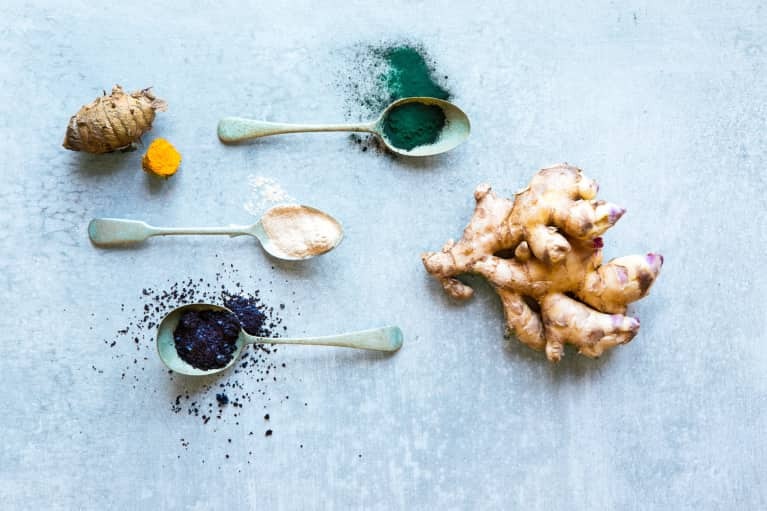 Colors represent different vitamins and nutrients, so include ginger, turmeric, garlic, beets, broccoli seed sprouts, and herbs such as thyme and rosemary in your diet each day. Consume dark leafy greens and cruciferous vegetables regularly. Other important food groups include nuts, seeds, legumes, and fatty fruits such as avocados and bananas – . 2. Include complex forms of carbohydrates. While it’s best to stay away from simple and processed carbs, complex carbohydrates are an important energy source for the brain, as the glucose molecule—broken down from whole grain and starch sources by the intricate mechanisms with our body’s catabolic pathways—is the preferred energy source of the brain and its cells. 3. Incorporate interval eating patterns into your meal plans. Allowing the body to take a break from digestive duties will help divert energy from the gastrointestinal tract to the organs recruited for detoxification pathways. This can take the form of a simple intermittent fasting plan. 4. Try to minimize exposure to toxins and contaminants as much as possible. Eat organic when you can to minimize exposure to pesticides, herbicides, and farm chemical residues. Use eco-friendly cosmetics, personal care products, and cleaning agents. 5. Target your supplementation for additional detox capability. You can do this with supplements like milk thistle for liver support, Coleus forskhii for respiratory support, ubiquinol and NAD+ for mitochondrial support, L-glutamine for gastrointestinal support, and N-acetylcysteine for additional antioxidant support since detoxification results in reactive oxygen species, which are damaging to our cells. For increased brain support, consider the use of plants such as Lion’s mane, Boswellia, and Macuna pruriens. For more information on how exactly to use these supplements and in what dosage, speak to an integrative physician, naturopathic doctor, or other supplement-savvy health care practitioner. 6. Daily movement and exercise. Run, walk, hike, go to a yoga class, dance, and cycle. However you can manage, sweat each and every day and it will support your detox pathways and your brain. 7. Deep breathing exercises with episodic rapid breathing. Did you know that breathing exhales waste by-products? It’s true. Rapid breathing (like in this video) also results in alkaline urine, which can help you better excrete other toxin metabolites as well. Fill up that reusable water bottle at least a few times a day. Proper fluid balance keeps blood and lymph moving through the kidneys and leads to better elimination of toxins through urination. 9. Aim for 20 minutes in nature each day. Research is clear that immersion in nature improves mental clarity, decreases stress and anxiety, and has beneficial physiological effects such as lowered heart rate and respiratory rate and decreased blood pressure. These improved physiological parameters can only help the body during detoxification. So, go for a hike, walk through the park, or sit in your garden for a few minutes each day. 10. Sleep at least seven to eight hours each night. During restorative sleep, the brain is able to repair cellular damage from toxins and other exposures. Make sure you’re giving your brain a chance to slow down and repair itself every night by getting enough sleep.